It is a good idea to follow the blogs/websites that teachers from other schools have created. There are a number of blogs that may be worth following. To follow a blog, click on follow when you open the blog site (I am already following this site – so the text has changed from follow to following). 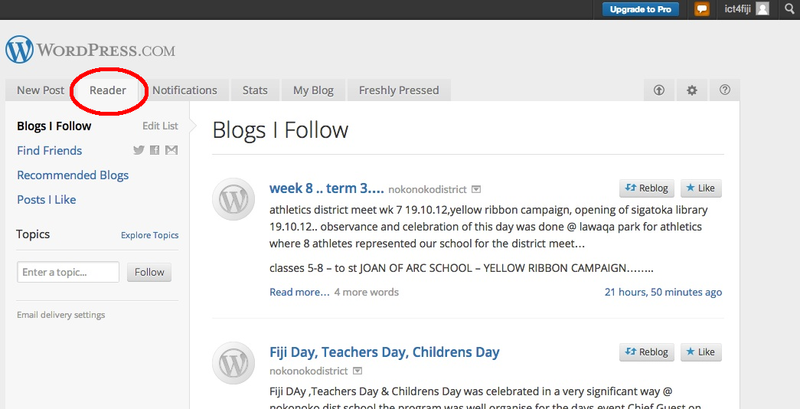 Each time you login to your WordPress site, you will be able to view the blogs that you are following. This is very convenient as you do not have to type in the url of the blog sites you are following.